Barely two months old, Nikhil Chawla’s food start-up aka Marshmallow Cakes & More, is winning a lot of hearts in the area. Not only are they doing great banoffee pies and rainbow cakes, they’re doing it at colony bakery prices. For instance, a large-sized, fit for up to seven people rainbow cake costs INR 800. Life’s suddenly all rainbows and butterflies in Pitampura! Nikhil has been a food blogger for years and he understood every sweet-toothed fiend’s biggest eating-out grouse spot on. Just like all of us cake seekers, he was often bummed out by how much his favourite pies and puddings cost at the city’s well-loved cafes. So, he decided to put an end to this misery by opening a cute-looking bakery himself. While it’s good enough that he’s making our beloved blueberry cheesecake at half the price, he also assures us that he’s giving the real deal. When you’re eating red velvet, you’re getting beetroot and buttermilk and not some shoddy red colouring that’s found its way in. Other amazing fallback options: Milk Truffle Pastry and Nutty Milk Cake. Surprisingly, their recently introduced besan nankhatai, an odd addition next to the pastries, is also quite a hit. Try it and let us know if we should pack it for those midnight munchies on our visit? 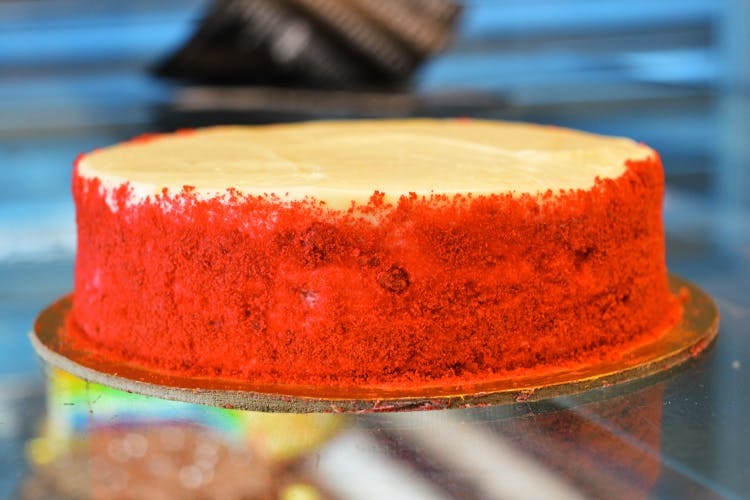 If you’re seeking Insta-worthy designer cakes around North-West Delhi, try them out. They’re creative, un-fussy and a total value for money.